Charlotte Vale (Bette Davis) is a middle-aged Bostonian spinster on the verge of a nervous breakdown. 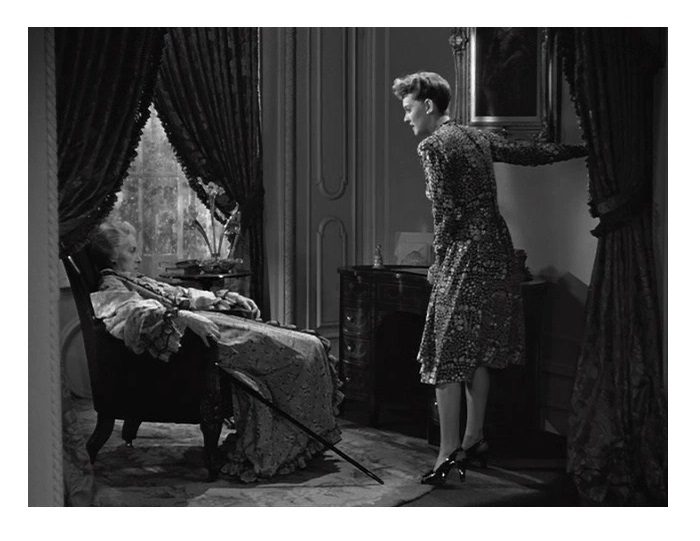 Against her domineering mother’s (Gladys Cooper, My Fair Lady) wishes, Charlotte is sent to a mental institution where she improves with the help of a kind psychiatrist (Claude Rains, Notorious). 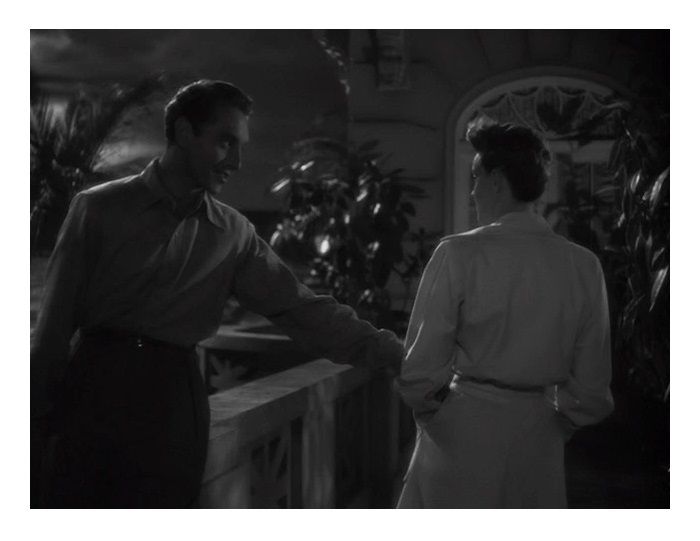 Later, Charlotte travels to South America and falls in love with a married man (Paul Henreid, Casablanca). One of Hollywood’s greatest romantic dramas. 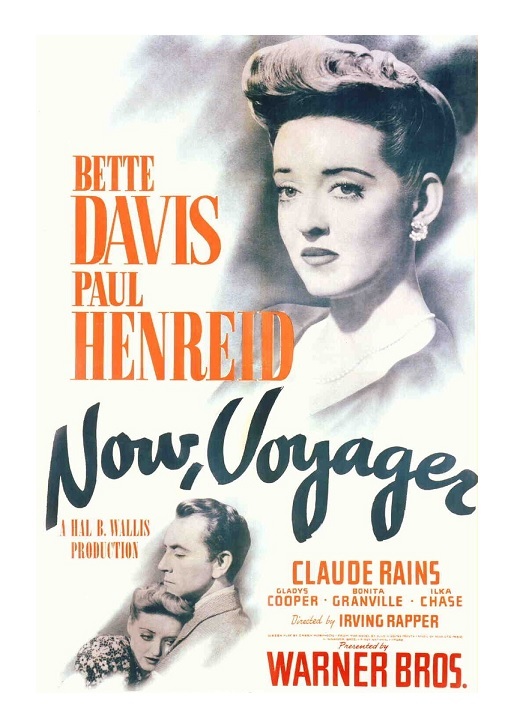 Directed by Irving Rapper (The Corn is Green and Deception) from a screenplay by Casey Robinson (Captain Blood and Dark Victory) based on a novel by Olive Higgins Prouty, Now, Voyager is a near-perfect blend of romance, sentiment and melodrama. It’s also, perhaps surprisingly, very forward-thinking in its approach to women’s issues, eulogizing gender self-determination in a bold manner. The film’s famous final scene is probably something that was constructed to appease the censors — a woman couldn’t ride off into the sunset with a married man — but this same manufactured morality inadvertently pushes the idea of female empowerment. Now, Voyager is above all a commemoration of human endurance and perseverance. The film’s second half is not as strong as the first half, which focuses on Charlotte’s efforts to help the daughter (Janis Wilson, Watch on the Rhine) of her lover. This section is a bit overlong, but it is essential to the film’s coda so I’m unable to come up with a viable alternative. The movie quickly recovers to deliver a smashing ending; one of those perfect finales that you rarely see in a movie. Bette Davis gives the role of Charlotte Vale everything she’s got. I don’t want to sound like I’m not appreciative of the great work of actors Gladys Cooper (Oscar-nominated), Claude Rains, and Paul Henried, but Davis’s captivating performance is what makes it work. She has this pensive, reflective look throughout the film. It’s as if Davis is evaluating everything she says and does — the analytic approach fits the role so well. I was amazed to read that Davis wasn’t the studio’s first, second, not even third choice. Warners wanted Ginger Rogers or Irene Dunne. Barbara Stanwyck, who had great success with author Prouty’s Stella Dallas, was interested in playing Charlotte. Davis was furious and demanded the role for herself — “Aunt Charlotte” remains one of her finest creations and the film became one of her biggest hits. The cast also includes Ilka Chase (Ocean’s 11), John Loder (Sabotage), Lee Patrick (The Maltese Falcon), Bonita Granville (These Three), and Mary Wickes (The Man Who Came to Dinner). Apart from Davis’s excellent work, the most memorable thing about the movie is Max Steiner’s (Gone with the Wind and Casablanca) Oscar-winning music score. It’s among my all-time favorites scores and I place it right next to Bernard Herrmann’s (Vertigo and Psycho) and John Williams’s (Jaws and E.T. the Extra-Terrestrial) best works. Later, songwriter Kim Gannon added lyrics to Steiner’s main theme, “It Can’t be Wrong”, and the song became a big hit. 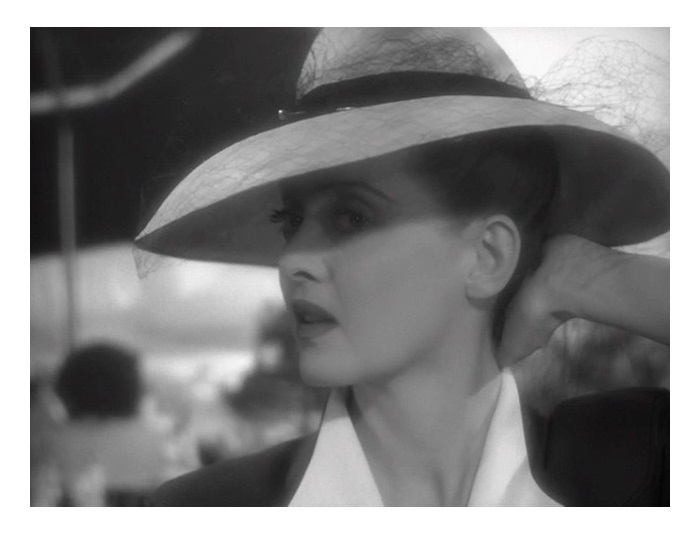 Now, Voyager is a truly moving story that rises well above its soapy trappings. The film was a huge hit with wartime audiences and it has continued to influence other filmmakers — Robert Mulligan’s 1971 popular romantic drama Summer of ’42 paid homage to it. It also contains one of Davis’s very best performances. This is Hollywood Dream Factory at its finest. B&W, 117 minutes, Not Rated.